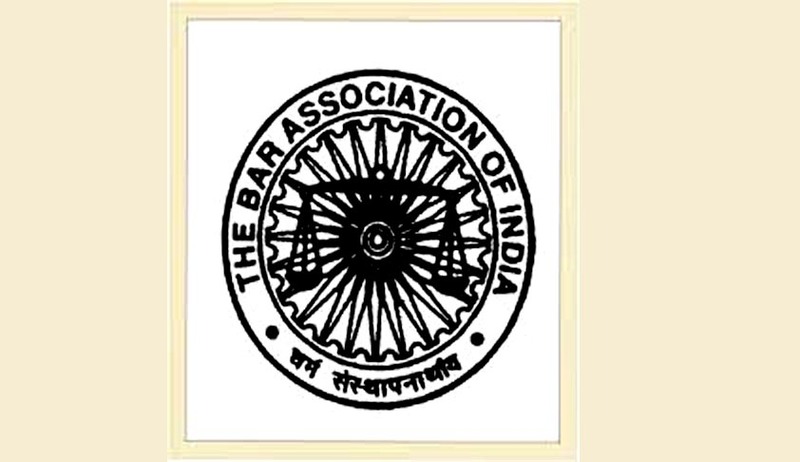 In a discussion organized by the Bar Association of India, the senior members of the bar, unanimously expressed their concern about the 64th Report of the Parliamentary Standing Committee on the Judicial Appointments Commission Bill, 2013. Mr.Anil Divan, Senior Advocate and President of the Bar Association of India, was critical of the hurried manner in which two important bills relating to Judicial appointments were circulated and passed in Rajya Sabha. He mentioned about the Constitution (120th Amendment) Bill later corrected as the Constitution (99th Amendment) Bill and the Judicial Appointments Commission Bill, 2013 (JAC Bill). According to him, the JAC Bill passed in Rajya Sabha was capable of being modified by a bill of Parliament as it was not given Constitutional status. Parliament could, by a majority disturb the composition of JAC itself. Only Ram Jethmalani opposed this bill. Since the bill deals with appointment of Judges of Supreme Court and High Courts and transfer of Judges, Parliament getting power to disturb the composition of JAC would have been dangerous. For some reasons, some errors in the Title, the bill could not be passed in Lok Sabha. The bill was in the meantime, referred to Standing Committee and Standing Committee heard the views of many people including some senior members of the bar. Standing Committee has suggested Constitutional status for JAC, which is a way forward. Mr.Divan said, there is rightful anger against the Collegium system and even he does not like it. But according to him, Government may utilize this anger against collegium system to pass the bill without open discussions. According to Mr.Divan there is nothing in the Bill allowing someone to apply for becoming a Judge. There is no provision for consultation with the bar. Another drawback is the criteria for becoming a Judge is not laid down. There should have been a questionnaire, according to him, in the process of selection by JAC as to whether one is related to a sitting Judge, to a Minister etc. He gave the example of recent incidents in Punjab & Haryana High Court were many names suggested for elevation were opposed by the Bar. He concluded by stating that unless we know the structure of both the bills, Constitution Amendment Bill as well as JAC Bill, we won’t be able to discuss the details further. To a query from the audience as to whether those bills are not already available for discussions, he replied that what is available in the public domain is the old Bill without the modifications, suggested by the Standing Committee. We need to see the Bill after it incorporates the Amendments suggested by the Standing Committee. Mr.T.R.Andhyarujina, who spoke next echoed some of the fears expressed by Mr.Divan. His description was that we are caught between the devil and the deep sea. The collegium system introduced through a judgment of Supreme Court in Advocate on Record case tried to remedy something and it worked for some time. However, it degenerated after a while and now people realize the problems in it, viz., lack of transparency and sometimes favoritism. He cited the example of Madras High Court wherein a sitting Judge appeared in civilian dress to oppose the decision of collegium and said the resentment is not only from the Bar but also from the Bench. He said that in no other country in the world there is a system of Judges appointing Judges. According to Mr.Andhyarujina, a Judges Appointments Commission is the need of the hour. In England it has worked exceedingly well. He cited the examples to show how transparent the selection process is there in England. But he was also cautious to mention that in other countries, the JAC has not worked well. He gave the example of South Africa. According to him, we have to have a JAC. But he doubted whether we will get it this year. The problems he saw in the bill already passed are 1. There is no criteria for selection 2. It does not specify as to how you shortlist names. 3. If arbitrariness and favoritism is that what you want to get rid of then these criteria should be laid down according to him. He mentioned Mr.Kapil Sibal assuring that the JAC would be given Constitutional status. Wider consultation is what he professed. Another major problem which he foresees in the bill is that the members are ad-hoc. Eg. Chief Justice, two senior sitting Judges of Supreme Court, Law Minister etc. they are all pre-occupied with hectic work and for selecting 1000 High Court Judges and 31 Supreme Court Judges there should be a permanent body. The body should have the expertise to select Judges. If the new bill is not passed this year, we have to live with the old collegium system and appointments would be done as per the now existing collegium system only. There are going to be 11 vacancies in Supreme Court only this year and if those are going to be filled through collegiums system, according to Mr.Andhyarujina, members of the bar must demand transparency in appointments in the present system of appointment. Mr.K.N.Bhat who speak thereafter also shared the same feelings and said that he feels the selection by UPSC is far more acceptable than the collegium selection. He expressed a feeling that the bills won’t be passed this year and suggested that till that time members should give suggestions for improving the present collegium system. He concluded by stating that further discussions about the new bill is possible only when a copy of the Bill with amendments incorporated is made available. Ms.Pinky Anand, endorsed other speakers and said the most important things one demands in today’s world are 1.transparency and 2. fight against corruption. According to her, the entire process of selection must be fair, each one of the lawyers must get an opportunity to be considered and the names of those who applied, accepted and rejected must be displayed with reasons. There should be some criteria for selection, like minimum number of years of practice, cases handled etc. she has shared an insider’s information that there is a good consensus among the members of different political parties, cutting across political spectrum to take away the power of appointment from Judiciary and give Executive an equally important role. She feels the bills would be passed this year itself. Contributed by Prashant Padmanabhan, Advocate, Supreme Court of India.